Testing your deductive skills is fun and instructive, especially when you match wits with a trick question. Solving a tricky puzzle delivers a small burst of satisfaction while getting it wrong almost always leads to laughter. Parents can challenge kids as a breakfast wake-up before school. Kids can challenge their friends because what kid doesn't want to look smarter than his buddies? In the process, valuable thinking skills are reinforced, which exercises your brain. See how fast the kids you know can power through these brain teasers. Scroll down for the answers. If September 2020 begins on a Tuesday, on what day of the week does December 2020 start? Mrs. Baker is a famous gourmet chef, but her kids eat garbage. Why? An Olympic diver in first place executes a perfect Inward four-and-a-half somersault and enters the pool without a splash. What does he get? Which of these bears is native to Australia: a black bear; a grizzly bear; a koala bear; or a polar bear? How did Washington and his troops cross the Potomac to attack the British -- by rowboat, barge, ferry or bridge? Two mothers and their daughters take turns driving for 300 miles of a 1,200-mile journey. But they still have 300 miles to go once they've each taken a turn. Why? When attacked in the wild, which of these birds can fly the fastest: an ostrich, a kiwi, a penguin or an emu? What was the tallest waterfall in the world before Angel Falls was discovered in Venezuela in the 1930s? When does ten plus five equal three? Which is the shortest state in the U.S.? Name one thing you can never do when you sneeze. What do a tennis racket, an apron, and a violin have in common? What can be found in the exact middle of America, Syria, Australia and Nicaragua at the same time? Fifteen friends are walking across town to a concert in the dead of winter with only two umbrellas to keep them dry. However, each one of them arrives at the theater without getting wet. How did they do it? What color is a zebra's skin? How did you do? Check the answers below. Tuesday. September and December always start on the same day of the week. Mrs. Baker's kids are young goats who are naturally curious and sample nearly everything in sight. None of them. Australia has no native bears. Koalas are not bears. They are marsupials, like kangaroos. George Washington succeeded in his famous surprise attacks by crossing the Delaware River. The two mothers and two daughters are a grandmother, her daughter, and the granddaughter. There are only three drivers. None. Ostriches, kiwis, penguins, and emus are all flightless birds. At a height of 3,212 feet, Angel Falls has always been the tallest waterfall in the world, even before bush pilot Jimmy Angel discovered it. Ten plus five equals three if you're adding hours on a clock. Maine. It's the only state with just one syllable. Keep your eyes open. You always reflexively shut your eyes when you sneeze. Black. Only the zebra's fur is striped. Its skin color is black. An agile mind is quicker to grasp complex concepts, see possibilities outside the box, make connections and find context between dissimilar or diverse facts. Puzzles are like yoga for your brain. They improve flexibility and even the speed with which you can pick up new ideas. 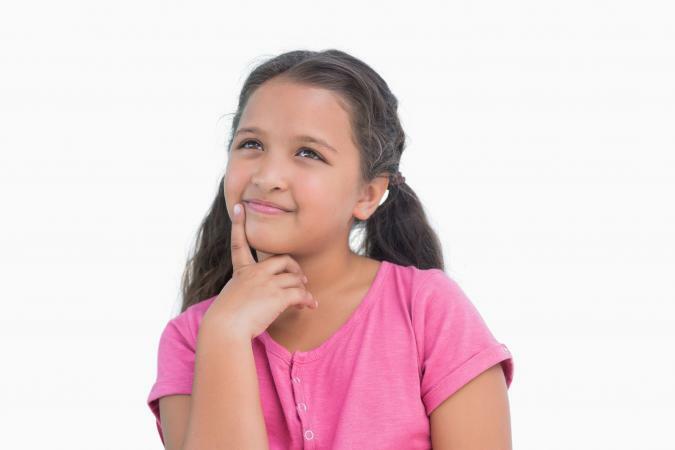 Use trick questions, crosswords, Sudoku and other brain teasers and challenges to encourage razor-sharp, unconventional and imaginative thinking in kids.